struck by the beauty of atmosphere in awe. Giovanni Segantini once said that “there is a particular light, that integrates everything to form an eternal harmony within the world of the alps”. In the wintertime he found this light in Soglio – a small remote village up in the mountains of the Italian speaking canton of Grisons. Counting 200 residents the village is a trinket, that one can wonder through – to see its deep beauty unfold beyond it’s obvious exterior appearance. Once you have arrived touching the bottom of Soglio, you will find it natural to continue by foot. Just a few steps ahead, the village church will appear, overlooking the Sciora-mountain chain – with Piz Cengalo (3369m) and Piz Badile (3305m). This is where Switzerland and Italy meet. 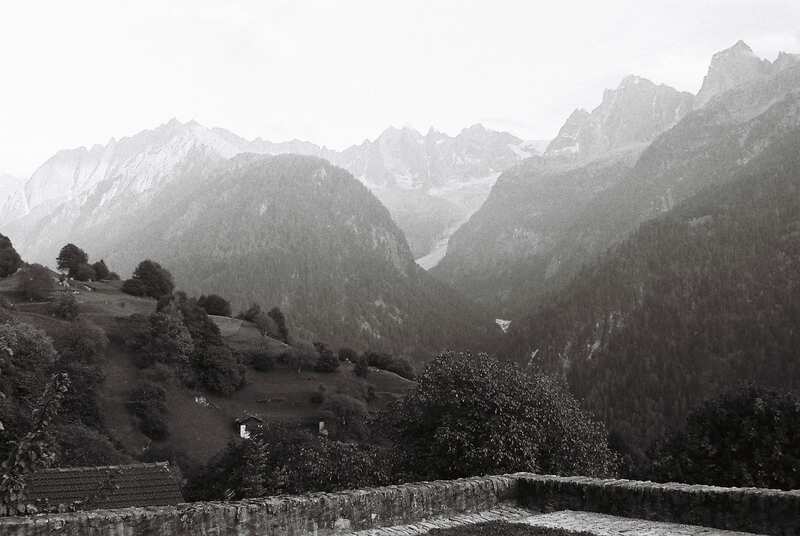 The scenery leaves room for the poetic odyssey about Rainer Maria Rilke’s residence in Soglio, “Nicht Ziel und nicht Zufall” (Not goal and not by chance) by Hans-Joachim Barkenings, in which he writes that Soglio was the only place where he found nearness to his work. Once you’ve reached the small Piazza in front of Casa Battista, the façade of Palazzo Salis will arise and leave you astonished with its Grandezza. History recounts that Palazzo Salis was constructed by knight Baptista von Salis in 1630. From the 16th until the end of the 19th century, the small community of Soglio was part of the European politics. The family Salis played an important role within the spectacle and the Palazzo served as the center piece of their colonial possessions reaching into wide parts of Grisons and Valtelline. Their mercenaries added to the involvements with the powers of Europe. Due to Napoleon, the Valtelline and Chiavenna were separated from the Grisons free state in 1797. Therefor many possessions were lost and the family’s revenues from services in foreign armies dried up. As a result the family left Soglio, but kept Palazzo Salis within their circle. In 1876 Palazzo Salis opened its doors to the public and had turned into a place of peaceful encounter, where visitors would find tranquility. Writer Rainer Maria Rilke would work in room 15, the library of the Palazzo, to accomplish his elegies and would wonder through the historical garden. Alberto Giacometti who was going to draw his good friend Giovanni Segantini on his deathbed felt deeply rooted within the valley of Bregaglia, a place he found narrow but would always miss. Stretching time from then until now Palazzo Salis still holds this history feeding today’s recentness. Monika Müller and Christian Speck manage the palazzo today and are bringing back all the wonders that it holds. 16 rooms of historic relevance and of such beauty add to the nostalgia of past times. The garden which lies tucked away behind the Palazzo encourages wisdom and withdrawal dating back to 1630/1701. As in every profound composition steadiness needs to be accomplished to tie strings to its surrounding, for it to prosper in full beauty and to retain its energy for days to come. These strong elements are secured by two redwood tress, which were imported from America in 1884, reaching up into the skies, giving shelter to poetic thoughts. The solid base is framed by elaborately trimmed boxwood hedges leaving enough space and necessity for lively inhabitants – old fruit trees, shrub peonies, bushes and blooming perennials – an enrichment for every “party”, breaking strict conservative patterns to loosen up the self-evident structure. 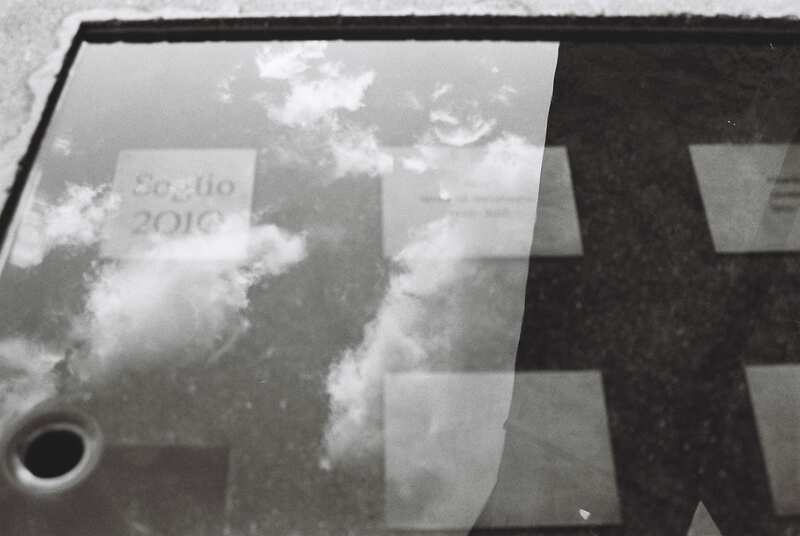 The garden was awarded the Schulthess garden prize in 2009. From garden to kitchen, Monika Müller and Christian Speck ensure great respect to the products, which are fresh and local supporting authentic culture and cuisine. The dining hall vault with its grand fireplace and decorated with flowers from the garden ensures the adequate atmosphere to dine.